Timeless Classics—designed for the struggling reader and adapted to retain the integrity of the original classic. These classics will grab a student's attention from the first page. Included are eight pages of end-of-book activities to enhance the reading experience.Phileas Fogg must be insane. 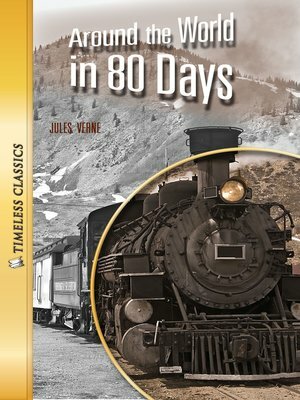 No one has ever been able to circle the globe in only 80 days! Yet he's bet his friends that he'll do just that. Half of his fortune is one the line...and the outcome looks far from certain.